The Lake District. Englands home for activity and adventure. “If you’re an experienced fell walker or mountain biker you may already know that there’s nothing better than staying in your own cottage in the Lakes, from which to have the freedom to explore. It’s little wonder that the area was home to Alfred Wainwright the famous fell walker, whose books are still the definitive guides to the fells, and it’s where one of our most accomplished mountaineers, Chris Bonnington, chooses to live. The scope of activities available within the Lake District’s diverse landscape is unparalleled; just the sight of the Lakeland fells and lakes reminds us of the opportunities to stretch our personal boundaries that bit further and experience the essence of adventure. 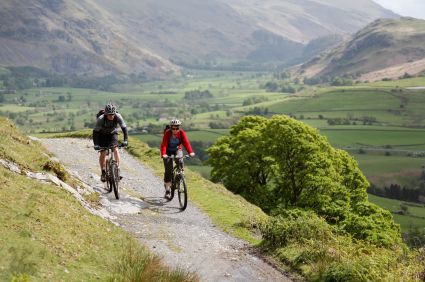 Cumbria Tourism has been working hard in partnership with adventure providers in the Lakes, to deliver activities which can offer something to everyone – whatever your own level of experience or ability. Their new web site lakedistrictoutdoors.co.uk provides a one-stop-shop for outdoor activity in the Lakes, while their accreditation scheme ‘ROAM’ provides you with the confidence to ‘get out there and do it’ with the best of them, in safety. Lakes, Goats and Boats – it really has to be the Lake District. The Lakes would not be the same without the Lake Steamers regularly criss-crossing the water, which are now linked up to the famous ‘Mountain Goat’ bus service to give you total freedom from the car for a few hours. 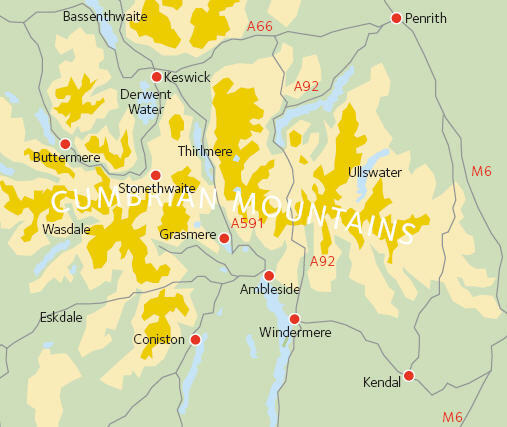 Linking Bowness with Hawkeshead, Coniston or Grizedale Forest Park; is a large range of cycle routes for all abilities. You can also join up the bits by foot, boat or let the Goat take more of the strain. Hire a bike and experience the full downhill rush, or take it easy on a family friendly track. From Glenridding on Ullswater the steamer can be taken up the lake to Howtown, and a walk back along the eastern shore offers an easy but spectacular return. Diving the English lakes isn’t for the faint hearted and experience is required to explore the dark cold depths of these mountain lakes. But, for those who are attracted, Capenwray Diving at Jackdaw quarry near Carnforth offers one of the countries best dive sites and schools. Capenwray offer a comprehensive one day introduction to diving, while watersports centres on Windermere, Coniston and Bassenthwaite offer a wide range of activities on the lakes. If you’re looking for a walk to remember and already have a strong pair of boots, I’d recommend the Crinkle Crags Traverse at the top of Langdale. 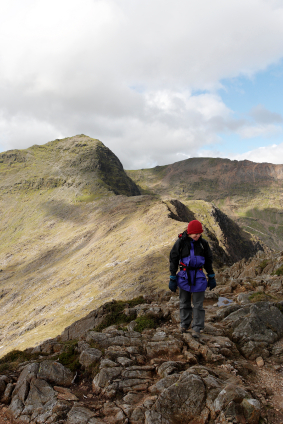 I recently revisited this walk and the views are every bit as spectacular as I remembered them… just a word of warning; make sure your navigation skills are sharp if the weather conditions are poor. confidence, or add a ‘Gill Scramble’ to the day? The Lake District offers something for everyones taste and one of our holiday cottages in the lake district can offer you the perfect base from which to undertake your activities. For more information and a list of our holiday cottages in the Lake District also visit our Lake District Destination Guide.